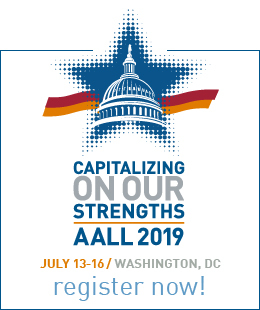 The AALL Annual Meeting Program Committee (AMPC) needs your talents and skills to help make the 2020 AALL Annual Meeting & Conference in New Orleans a success. The AMPC is responsible for soliciting, reviewing, selecting, and guiding/curating the programs that our members need and want. 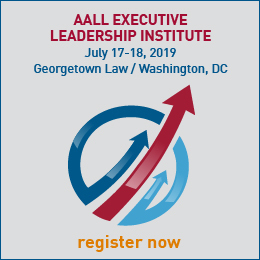 Please volunteer to help shape programming for AALL’s premier educational event. The structure of the AMPC provides more opportunities for members to volunteer. The two types of AMPC volunteers are Team Leaders and Content Team Members. A description of how the groups work together is available on the committee profile. The AMPC will determine “must-have” programs within these content areas, and, in many cases, the focus for the topic (e.g., the basics, best practices, trends, or related technology). Serving on the AMPC is a valuable experience that will help you develop leadership and program planning skills while working collaboratively with new colleagues. Interested? Please submit your application by Friday, November 9. You can make a difference!